Anne Chambers is the author of seven biographies, an historical novel, a collection of short stories, several film screenplays and stage dramas, Anne writes, lectures and has been interviewed worldwide about her work. Her books have been the subject of international TV documentaries including Discovery and Learning Channel and have been translated and published world-wide. She was short-listed for the GPA Irish Book Awards (biography) and for the 2004 Hennessy Literary Awards (short stories). She has co-written a number of screenplays for cinema and TV, some of which have received development funding from Media and from The Irish Film Board. They cross a broad genre from historical drama, comedy, human drama, a political thriller to an American Western. Currently she has scripts in development with three production companies. Her screenplay LORNA was short-listed for 2009 Jameson Dublin International Film Festival and was subsequently optioned by British Lion Screen Entertainment (LA). She holds an MA in Irish History from the National University of Ireland. Over the years Anne’s name has become synonymous with Grace O’Malley. Her adult biography has become the inspiration for documentary makers, musicians, artists and writers from a range of creative disciplines worldwide. First published in 1979, the biography of Grace O’Malley has made a unique contribution to Irish publishing history, never having been out of print since. Now in its 7th edition the book has brought Grace O’Malley out of the shadows and restored her to her place in both political and maritime history. A new anniversary edition was published by Gill&MacMillan (Dublin) in 2009 and the book has recently gone on distribution in the UK. The book is based on the extensive research the author undertook among contemporaneous 16th century manuscript material, both in public and private domain, in Ireland and in the UK. 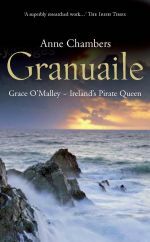 Anne’s biography for young people Granuaile: Sea Queen of Ireland was published in 2006. 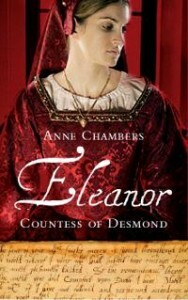 Ann’s latest biography “Eleanor: Countess of Desmond” has just been published and is the subject of our second podcast below.